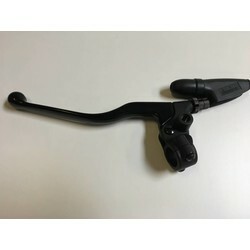 Clean universal clutch lever made of aluminum. Ideal for multiple motorcycles. Will fit on a 22mm (7/8 inch) handlebar. 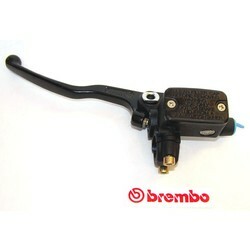 Will fit perfect to the Brembo PS13 and PS16 master cylinder. Includes an adjusting screw for clutch cable.